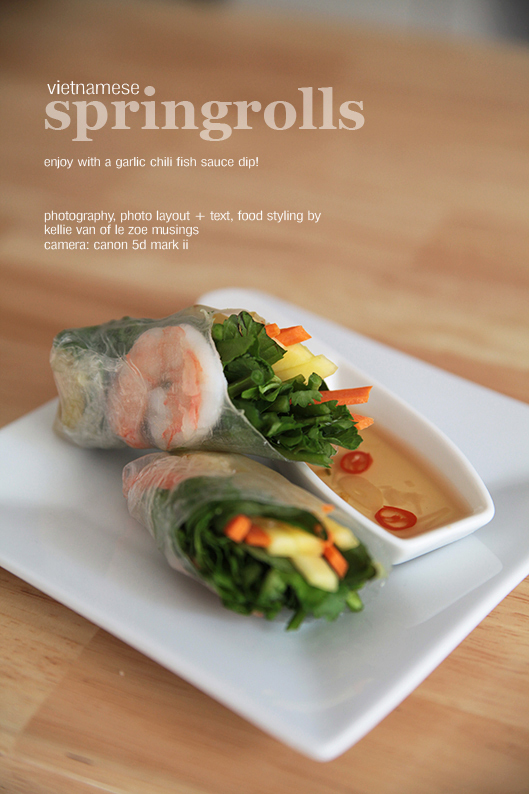 Can’t believe I haven’t done a spring roll post yet! We usually enjoy this healthy dish almost once a month. And a lot more often during the summer and spring time with greens and herbs from our garden. This is a great option for those of you who crave a healthy and easy meal. Desperate for an internal cleansing for the New Yr? 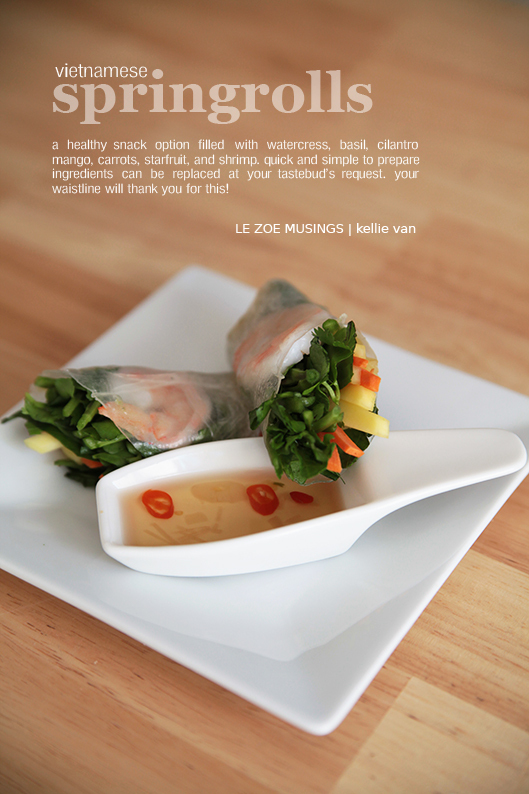 Spring rolls are the perfect solution! Once again, a step by step photo tutorial. Typical Vietnamese spring roll ingredients consist of pork, shrimp, herbs, bean sprouts, romaine lettuce, cucumber, and small rice noodles. In this post, I actually omitted most of those ingredients and substituted with what we had in the fridge. 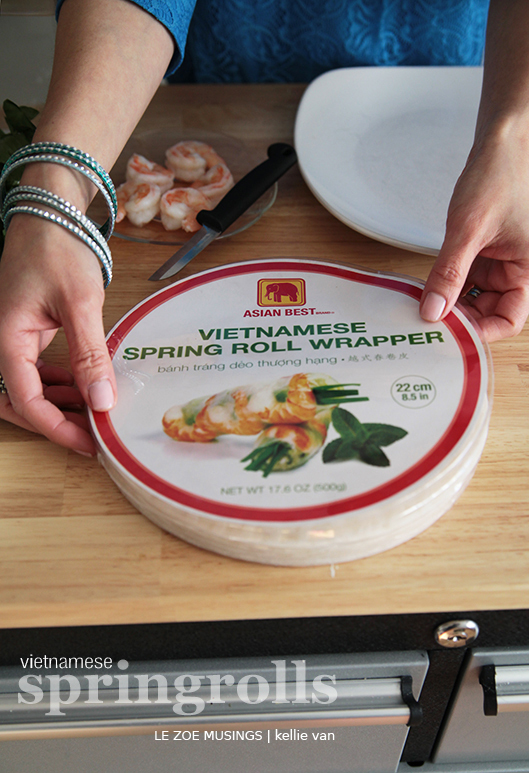 Truth is, spring rolls can be filled with ANY ingredients you choose. That’s the fun part. 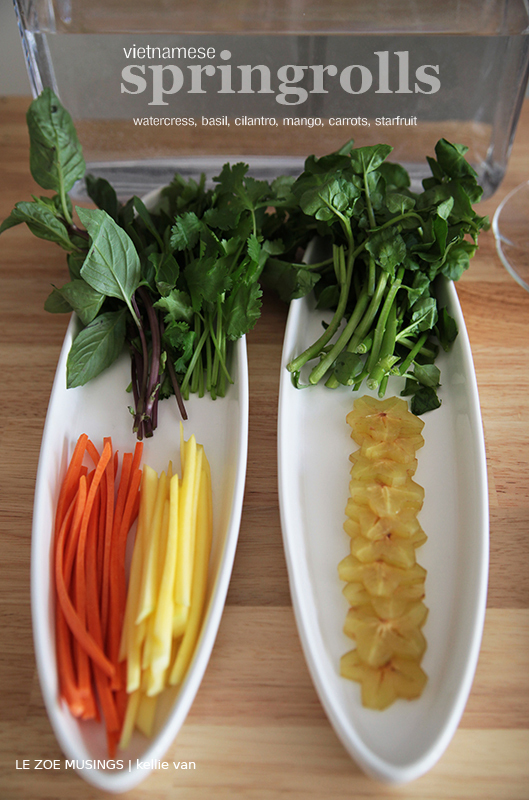 I wanted my spring rolls to be extremely healthy, light, and colorful. You can easily find these at any Oriental market. Nowadays, your usual American grocery stores may also carry them. 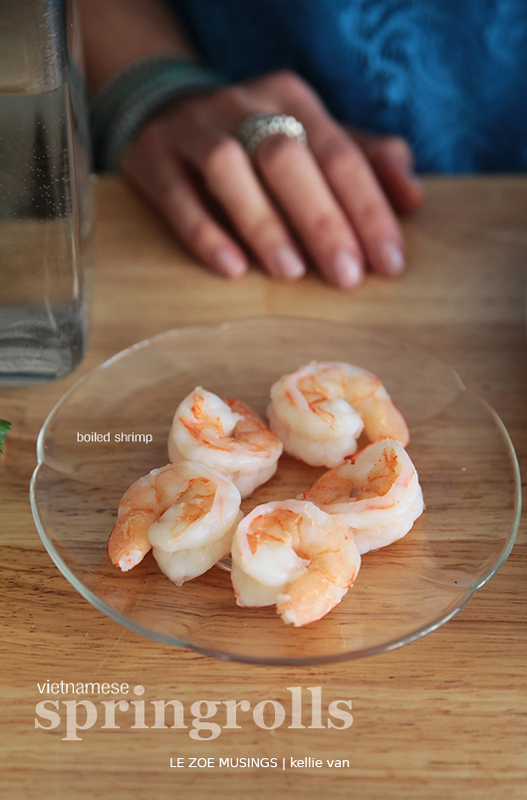 Don’t overboil your shrimps b/c they’ll get too rubbery. 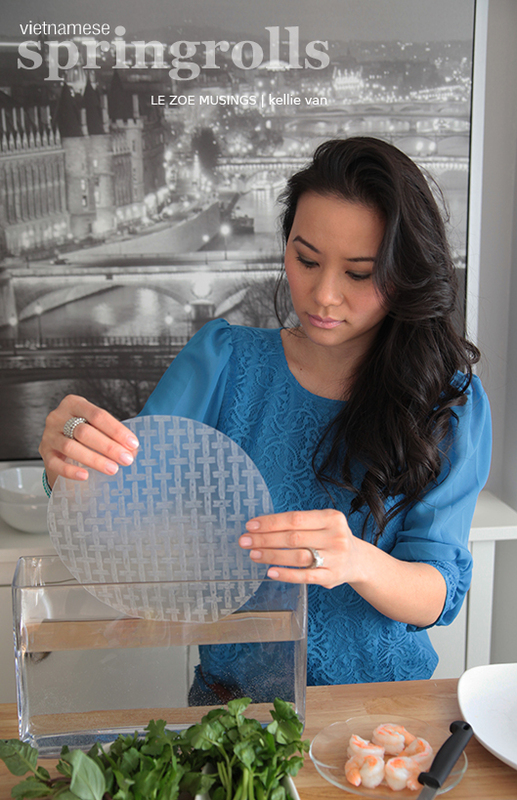 Our spring roll wrapper dipper is a short rectangular vase from Ikea (ingenious!). You can also use a round pan filled with warm water and it’ll work just as well (instead of dipping the wrapper vertically, with the pan, you’ll dip it horizontally). 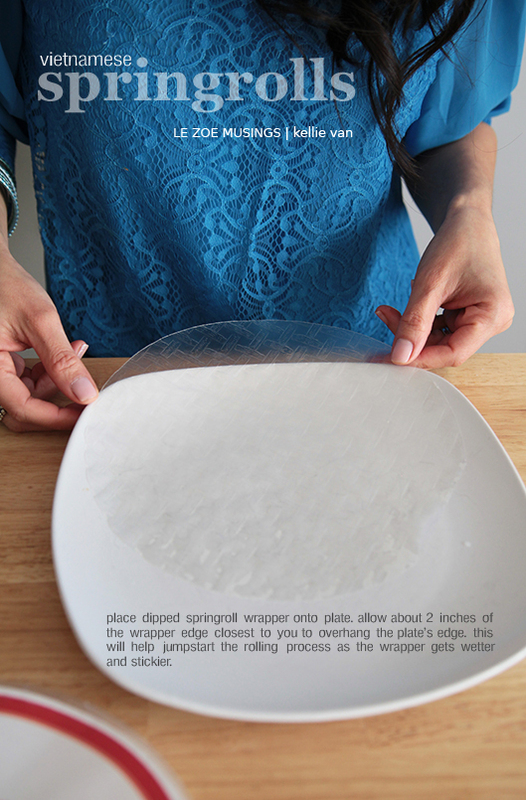 Dip the wrapper for about 2 seconds (make sure it’s fully submerged, rotate if needed). I don’t understand why most recipes suggest dipping for a few minutes. Any longer than a few seconds, the wrapper gets way too soggy and/or tear. 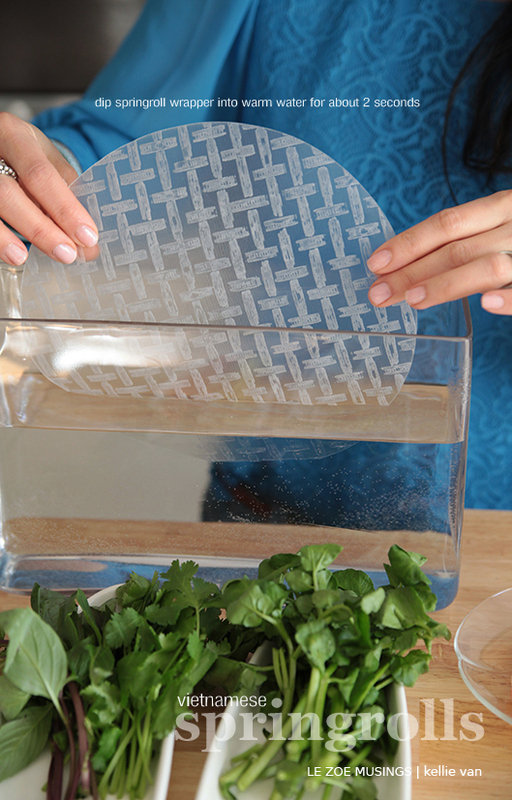 Once you take it out from dipping, it’ll continue to soak and get more pliable and sticky. Once you finish adding all the ingredients and ready to roll, the wrapper will be fairly sticky to the plate making it harder to separate the two. Overhanging the edge of the wrapper will help later on when you begin to roll. A shrimp for each spring roll. 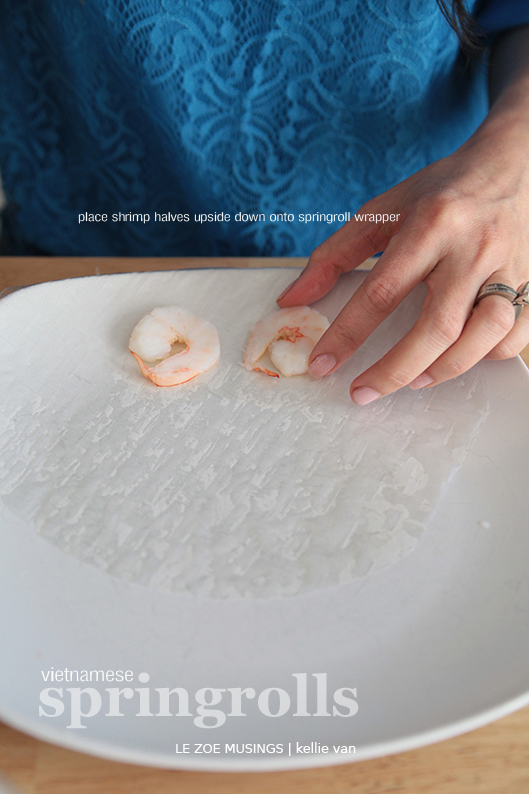 This way, you’ll see the shrimp once you finish rolling! 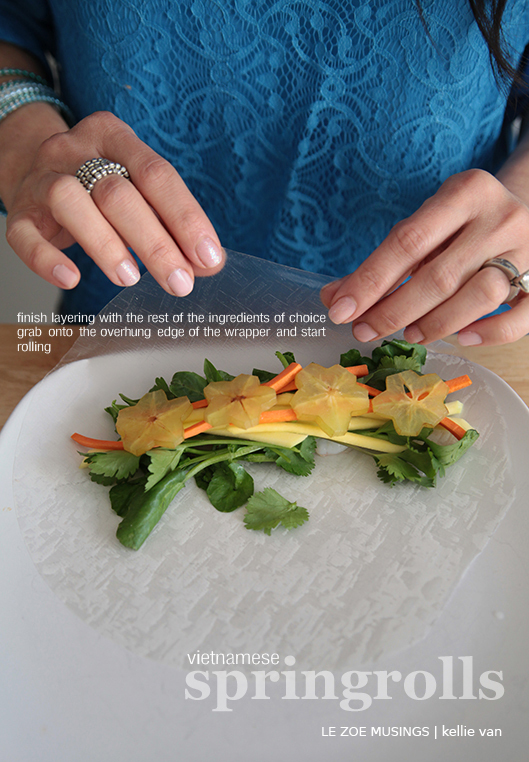 Starfruit slices top the layer. 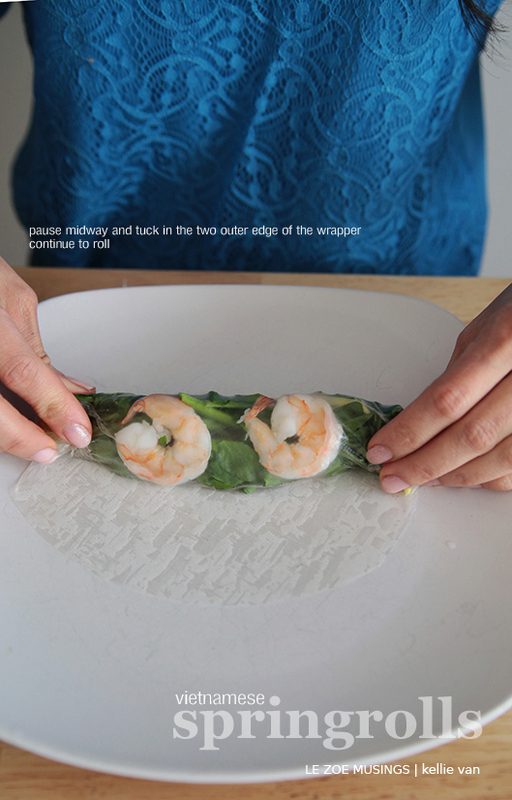 Just like making eggrolls, tuck in the two sides midway. Do you see how the spring roll wrapper is stuck to the plate like almost second skin? This is how sticky it can get. 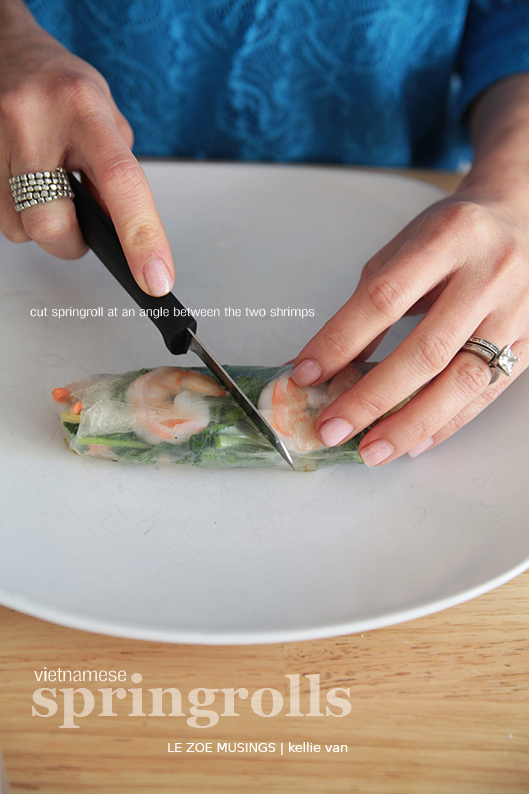 If not eaten right away, place a warm paper towel over them to prevent the spring rolls from drying out. How refreshing and yummo do these look?! They’ll brighten any gray winter day. 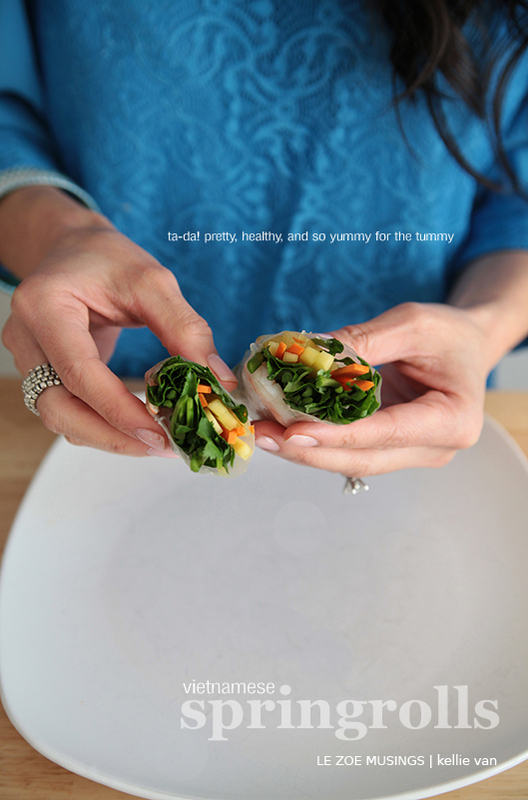 Arugula, avocado, green apples, and parsley are other ingredients that would be yummy in a spring roll. Also, most spring rolls are dipped in a peanut sauce. However, I made a chili garlic fish sauce which is very popular in both Vietnamese and Thai cuisines. Hope you’ll try these out! Yum, thank you so much for taking the time to do this post. I know how long it takes to write a step by step post. You have done a wonderful job writing this one. again amazing photos. How do you do it? Any tips? What equipment? This looks so delicious! I want to try it! What a great post! These look delish – i shall be attempting myself. Thanks for the interesting spring roll idea. I’ve never put starfruit it in before. I usually do shrimp, rice noodle, and greens. Thanks for this recipe and step-by-step photos! 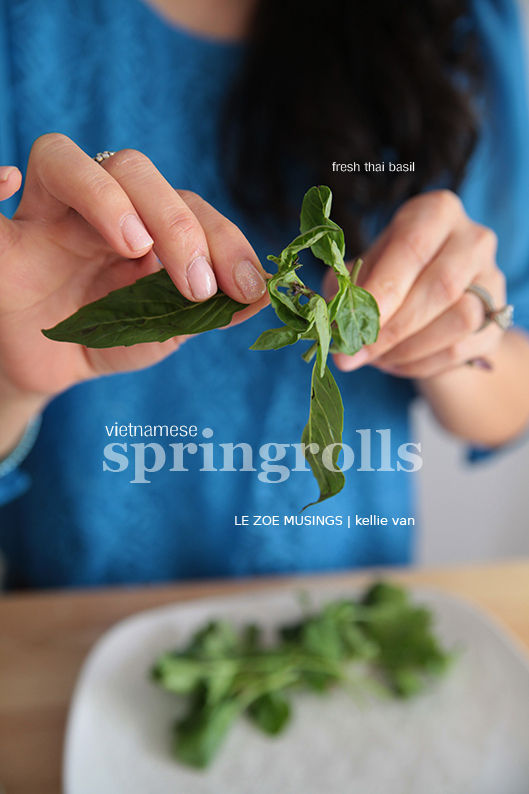 I love spring rolls but have never been brave enough to try to make them. I even had the wrappers in my hands at the grocery store today but put them back. Next trip, I’ll get them and some fun filling. Thanks for the inspiration! what an awesome step-by-step. Photos are great and I love that you included starfruit–fun! I was taught once in a class that some wrappers tend to be “stickier” than others, depending on the flour types they’re made of. Thinking they said to look for brands that also contain tapioca flour in addition to the rice flour. ??? Seeing as how you look to be an Expert :-), would you agree? Appreciate you stopping by foodforfun for Cocktail Inspiration. Fun to see you again. Yum, those look so delicious!! Thank you so much Kellie for this post! It actually came right on time as my co-worker brought me a whole thing of springroll wrappers! Now, thanks to you, I know how to properly prepare a springroll! Thank You! We had this for family dinner just the other! Refreshing and yummy! So pretty and fresh looking. I have some spring roll wrappers in my cabinet and I was just talking to a friend about making some. 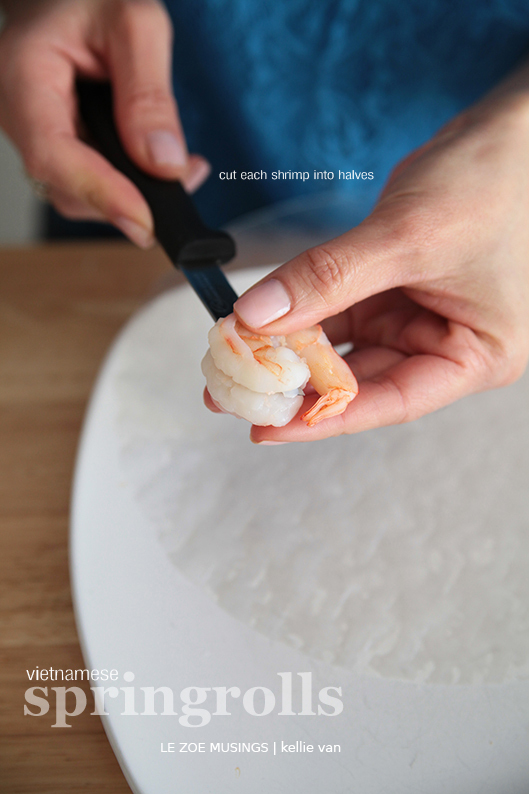 Beautiful photos..you make it look so simple and some great tips, like hanging one edge over the plate. Yum! gorgeous photos! 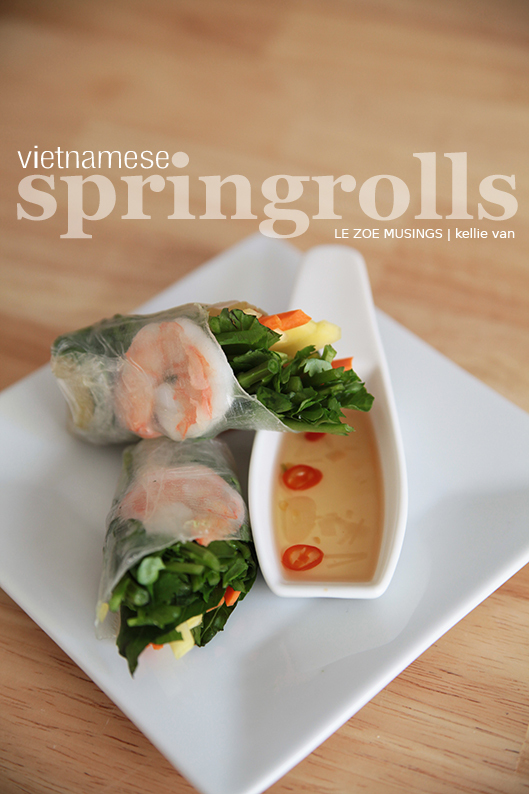 the spring rolls look yummy! Yum. I’m craving these now! My few attempts have failed to work, due to the rice paper disintegrating or too dry. I shall try your recipe. Great post! I have the ingredients and have been wanting to make spring rolls for the first time for a few weeks. This lovely step-by-step picture tutorial gave me the confidence to tackle it! I made mine with shrimp, lettuce, shredded carrots, shredded red cabbage, and avocado. Delish! I opted for a peanut sauce this time, but am going to try your sauce the next time around. Ha…Not a bad thing right? Ooh, what fun that you used starfruit! Great idea to add that unexpected tang to the mix. Love your gorgeous pictures and your layout is clean and minimalist. Its like straight out of a food magazine. What lens do you use? Hi Mary- Thanks!! The lens is Tamron SP AF Aspherical XR Di (IF) 29-75mm 1:2.8 Macro 67. There you have it! Not that I know what any of those numbers mean! I just point and shoot!! I must try rolling them like this, I’ve always gotten into trouble once the wrapper gets sticky! Oh these look so yummy! I love Vietnamese spring rolls. Can’t wait until we can just reach through our computer screens and sample! these look amazing – I am trying these for lunches new week!